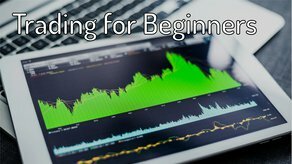 Welcome to Trading for Beginners - Intermediate Level. In Trading for Beginners, we take you through establishing a solid foundation of market fundamentals, teaching you what the market really is and why trades really happen. We equip you with a lexicon of market terminology, an understanding of Risk, and an ability to analyze the markets using both Fundamental and Technical analysis. We conclude the course with live trading examples. The material is presented to you through lectures, video, and cartoons to help make the more complex topics approachable. This course is for complete beginners - seriously. We build on foundational concepts and terminology before introducing meaningful analysis. We also include sample exercises to help you practice your skills. All you need is an open mind to some new ways of looking at your charts.